One of the biggest myths about eating healthy – whether doing a Whole30, following the paleo lifestyle, or diving into the keto diet – is that you can’t afford it. 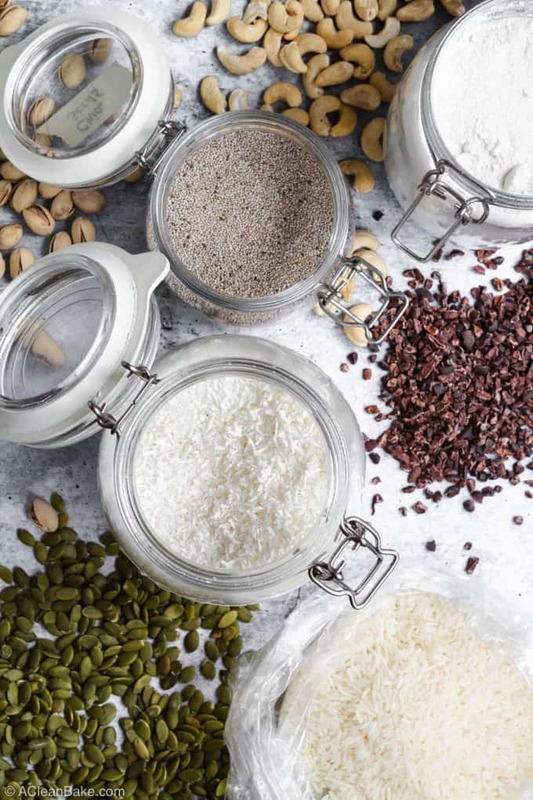 While there are certainly a lot of people and resources our there offering handy tricks for keeping your food budget in check, most of their tips rely extremely heavily on grains and legumes for the base of your meals. If you’re following the paleo diet or focusing on a low carb/Keto diet, those tips are not very helpful – to say the least. But if you don’t follow one of these diets, don’t go! This list is for ANYONE who wants to eat the best quality food they possibly can, but doesn’t have an unlimited budget. I won’t lie: when grains, legumes and (possibly) dairy is out of the question, and your diet consists mostly of gluten free carbs, quality protein, and healthy fat, eating becomes a little more expensive than it is if you eat the Standard American Diet (which maybe cheaper in the short term, but you’ll probably pay for it later). 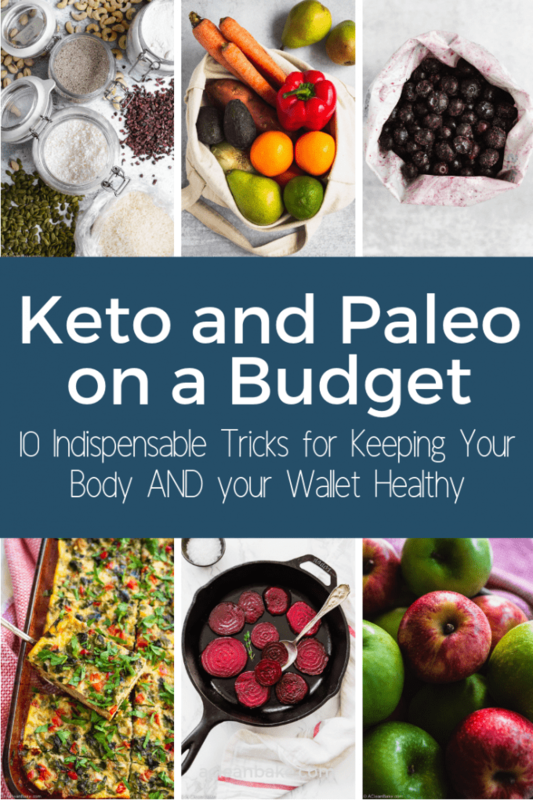 But, sticking to paleo or keto foods doesn’t have to break your budget. Over the last few years, I’ve figured out some of the best ways to work within a reasonable budget, but still eat high quality, real food for every meal. Like you, I’m a busy person with a full-time job and a child, who doesn’t have the time or space to grow my own food or make absolutely every meal from scratch immediately before it is served. I’m not milling my own nut flours over here, or spending 2 hours prepping a multi-course dinner every day, and I don’t expect you to, either. That’s not how how we keep our budget in check. Instead, over the last several years of eating low carb/keto and then (mostly) paleo since then, I’ve discovered lots (over 3,000 words worth!) of shortcuts and strategies to make sure we’re eating the best meals we can, without grocery shopping, prepping, and cooking taking over our lives. Here are 10 ways you may not have thought of to make it easier to eat paleo or keto on budget. Here’s a wonderful secret about eating healthy: every little bit counts. It’s not a zero sum game; you’re not either perfectly healthy or a total train wreck. The key is to get the most bang for your buck, literally and figuratively, and some organic foods are simply a waste of money. Organic candy, for example? It’s still candy. Skip it. Organic bananas? Your heart’s in the right place, but most of the pesticide residue is on the thick peel that you’ll end up trashing anyway. Buy conventional instead. Anything with a thin skin that you either eat, like apples, cucumbers, bell peppers, and berries, is worth the extra price to buy organic. For a more specific guide, check out the Environmental Working Group’s Dirty Dozen (buy organic if you can) and Clean Fifteen (conventional is fine if you’re trying to stretch your dollar) lists, which get updated annually to reflect changes in growing conditions. 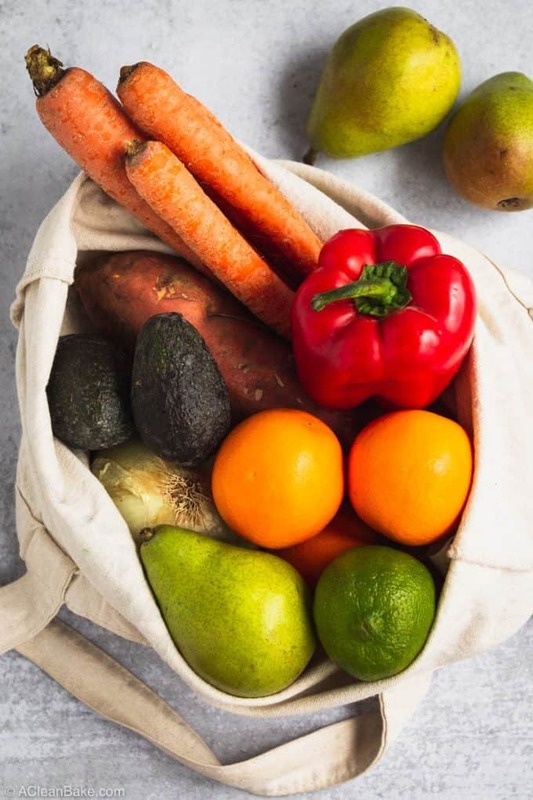 Another option: there are produce delivery services popping up all over the country, which sell ugly or excess (but still perfectly good to eat) produce at reduced costs. I use one called Imperfect Produce, and I get a weekly box of organic fruits and vegetables for just $25/week. If you’re willing to be flexible with your meal planning (since the contents of the box vary from week to week) and you’d like to try this service, you can sign up at imperfectproduce.com and use code “acleanbake” to get 50% off of your first box. If it doesn’t serve your region yet, there are other services across the country that do the same thing. This isn’t right for everything, but anything that keeps well in the pantry or freezer for several months at a time is a good candidate for this strategy (read: probably don’t buy 100 lbs of cucumbers). Aside from nuts, seeds, dried fruit and other things you’d find in the big bins at the grocery store, meat is the best candidate for this. I’ve found that the only real way to save on meat (including fish and poultry) without sacrificing on quality is to buy in bulk. For example, believe it or not, Costco offers some of the best per-ounce prices I’ve seen on organic, grass-fed meat, organic chicken, and wild caught fish. Another option is ButcherBox, a subscription service that delivers a box of grass fed beef, heritage pork, and pastured chicken to your house every month or two. It’s not cheap, but it’s a good price for the quality of the meat, since Butcherbox has low overhead (no brick and mortar stores) and works directly with farmers. I’ll admit that I didn’t like it at first, but they’ve expanded and diversified their offering, and allow you to customize the contents of your box, if you want to. Since this change, I switched back to getting all my meat from them, since theirs is the highest quality I’ve tried. This trick also applies to freezer-friendly fruit and veggies, like berries, pineapple, mango, and even bananas (Smoothies! Banana bread! ), or green beans, peas, spinach, or kale. 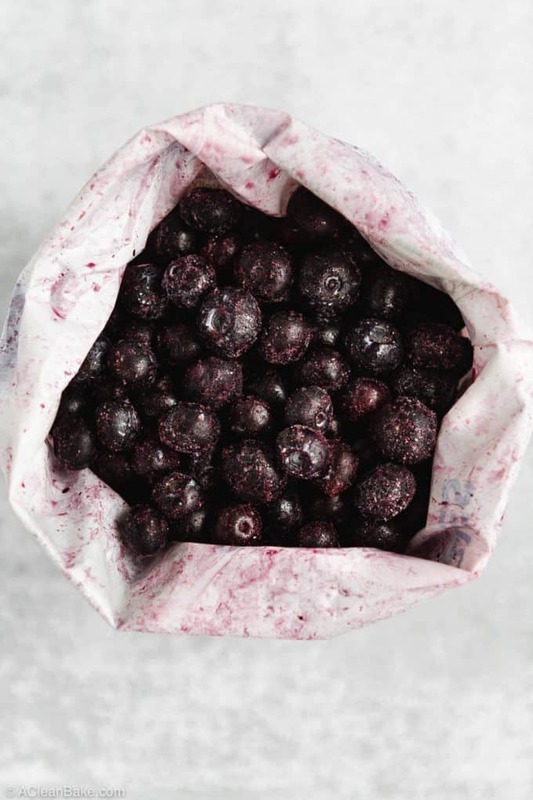 Make sure you thoroughly wash and dry them, peel/stem and chop if necessary, and freeze in airtight zip top bags with the extra air squeezed out. But, before you go out and buy 11,000 pounds of shrimp or something, here’s the real secret to making bulk buying work for you: do the math. Yeah, sorry – I know no one likes to hear that phrase! Make sure you don’t look at prices alone, but look at price per pound or ounce (either use the calculator on your phone or look at the fine print on the price sticker on the grocery store shelf) and compare the regular price for the average sized container to the bulk price. This is the best way to buy produce at reasonable prices; when something is in season, it is cheaper and easier to produce and more abundant (than, say, shipping it in from Chile, Mexico or even China), so the prices are lower. Thanks, supply and demand! Sometimes, silly things happen like the glut of strawberries in March last year (not complaining). In that case, enjoy it! But by and large, produce is at its most affordable (yes, that means organic too) when it’s in season in the area/country you live in. So, planning your meals around what’s in season is bound to save you some bucks off of your grocery bill. Check out the USDA calendar for more info about what produce is in season at what time of year. If you’re lucky enough to have multiple supermarkets within a reasonable distance of your house, research their weekly sales fliers before you go. You might find that by shopping a different store than usual, you can get a lot more of what you need on sale. This also doesn’t have to apply only to weekly sales at your local grocery store. There are many produce wholesalers that are open to the public, and sell produce at a significantly lower cost than the normal supermarket. 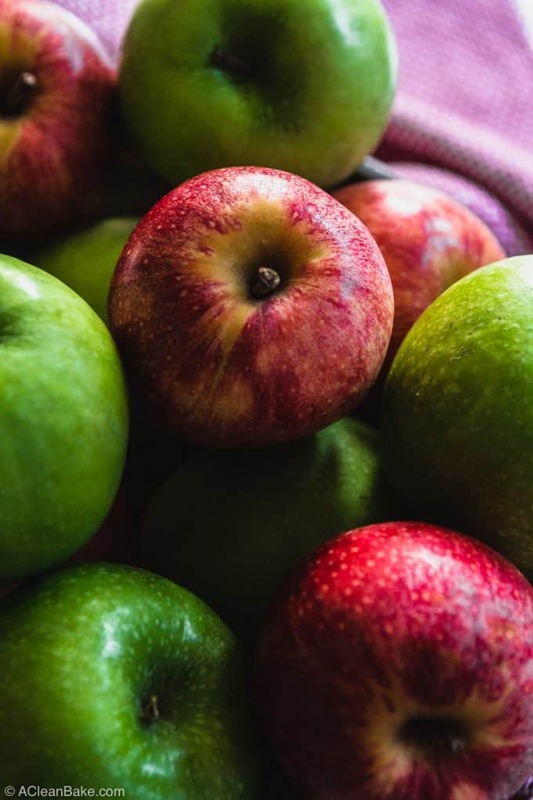 This may (not always, but sometimes) mean buying ugly produce (not bad, just not pretty enough to be sold in the typical supermarket) or slightly older produce that is still perfectly fine, but may need to be eaten a little more quickly – typically within 5-7 days. Sometimes, you don’t even have to bother waiting for sales. You’ll benefit from making a trip to a second grocery store that has staples you need at a better price. For example, a jar of natural, unsweetened almond butter at Trader Joe’s is significantly cheaper than it is at Whole Foods. It’s worth your time to shop around, learn where to get the best deals, and alternate your shopping trips between these stores. There is no better way to know how your food is grown than by buying it straight from the farmer, or from a service that works with the farmer. When you buy from the supermarket, food has passed through many distribution channels on the way from the farm, and every person at every step of the process has to get paid. That means extra costs built into the price. The closer to the source, the fewer middlemen who need to be paid, so the cheaper your food should be. You can even buy directly from a farmer by joining a CSA (Community Supported Agriculture) or shopping at the farmer’s market. CSAs may not look cheap at first glance, since many of them require an upfront cost (you pay for the season or year ahead of time). But, it more than pays off in fresh, local, often-organic produce week after week, at prices lower than what the exact same apple would cost at the store. Many CSAs will allow you to save on the delivery fees by picking up your box at the farm, a local farmer’s market, or another central location. Plus, because food is in transit for so long before it gets to the grocery store, you’re not going to get that kind of quality or nutrient density for that cost at any supermarket, that’s for sure. By comparison, CSA and farmer’s market produce is usually picked less than 48 hours before it gets to your door. However, since I live in a region where CSAs are dormant and Farmer’s Markets are closed half of the year, this is another reason that I’ve started using Imperfect Produce (see #1 above). I still get organic produce year round, but pay 35-50% less than I would at the grocery store. Meat is a huge expense, and usually the source of the most sticker shock, for those just starting on a paleo or keto (or Whole30) diet. I hear you. If you’re doing keto or paleo for the first time, you’re probably used to making inexpensive starch, cheese, and other processed but filling foods a large part of your plate. When you start relying more on costly protein feel full, your grocery bill might feel the pressure. One of the biggest mistakes that people tend to make when switching from the Standard American Diet to paleo or keto is assuming they need to fill up on a giant steak every night. Not at all! Meat is, as we’ve all heard, very costly to produce, both to the consumer and to the environment. For the benefit of your wallet and the health of the planet, don’t rely on meat to get and stay full. 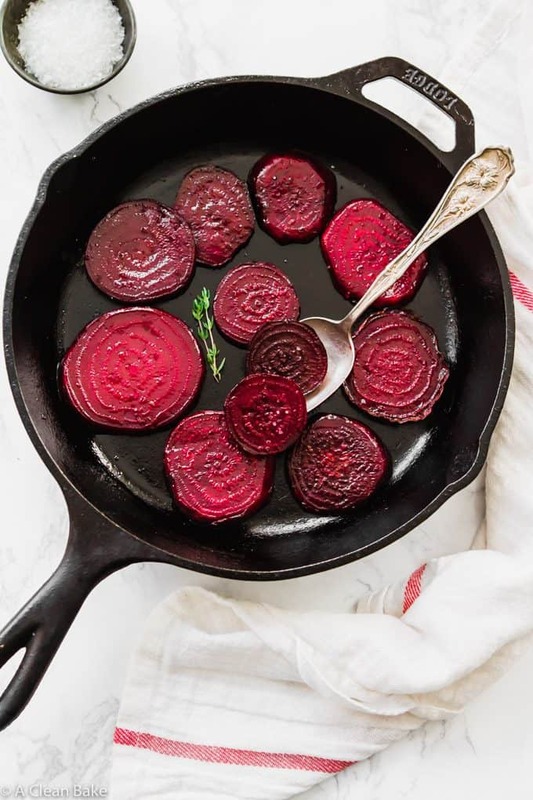 Make sure to stay hydrated, and pile your plate high with plenty of fiber rich produce, healthy fats, and bulky starch like sweet potatoes, squash, and other root vegetables (or low carb vegetables if you’re following a keto diet). All of these, along with a normal portion of protein, will help you feel full. So what protein should you cook? Premium cuts like chicken breast come with a premium price tag. Luckily, the leaner cuts are usually the pricier ones, and if you’re following a paleo or keto diet, you’re going to want richer cuts with more fats because, remember, fat keeps you full! Plus, fattier cuts of meat are more keto-friendly because they help you hit your macros for the day. 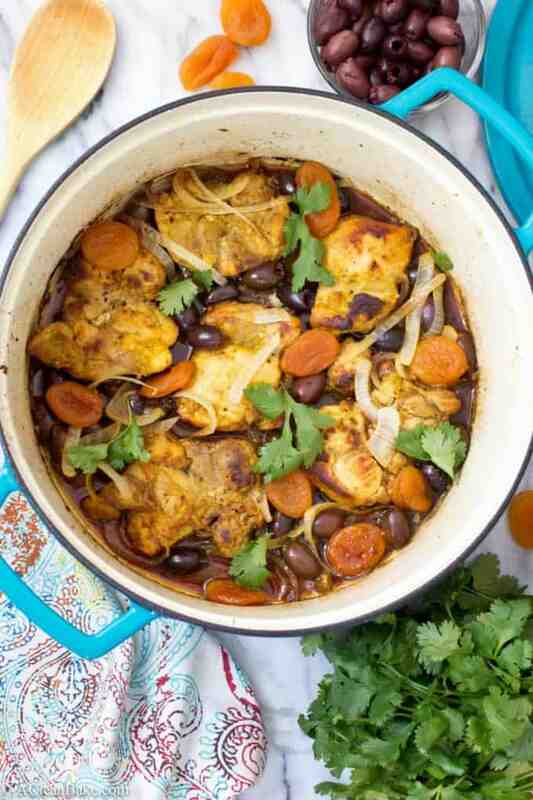 So consider switching your chicken breast recipes for recipes using tenders, drumsticks, or thighs (like the braised chicken thighs which apricots and olives, pictured above), or mixing the cuts of meat in a dish. Likewise, make steak a special occasion food and plan to make meals that call for cheaper cuts like ground beef or less expensive meats like pork. So what do you do when you are dying for some blueberries and they’re $100 a pint? Easy: check the frozen foods section. Frozen fruits and veggies are typically frozen at the height of their growing season, and shortly after being picked, which translates into greater nutrient density and lower prices than buying the fresh version in the off season. Frozen meat and fish are also cheaper than their fresh counterparts because it is easier to transport and store these foods when frozen, and there is less costly spoilage and waste. Just beware that all frozen foods are not created equally. Shop carefully and read the ingredients to make sure that no one snuck any salt, butter, flavorings or preservatives into your frozen veggies (this is most common with mixed vegetables). Similarly, confirm that you’re buying fish fillets, not fish sticks. 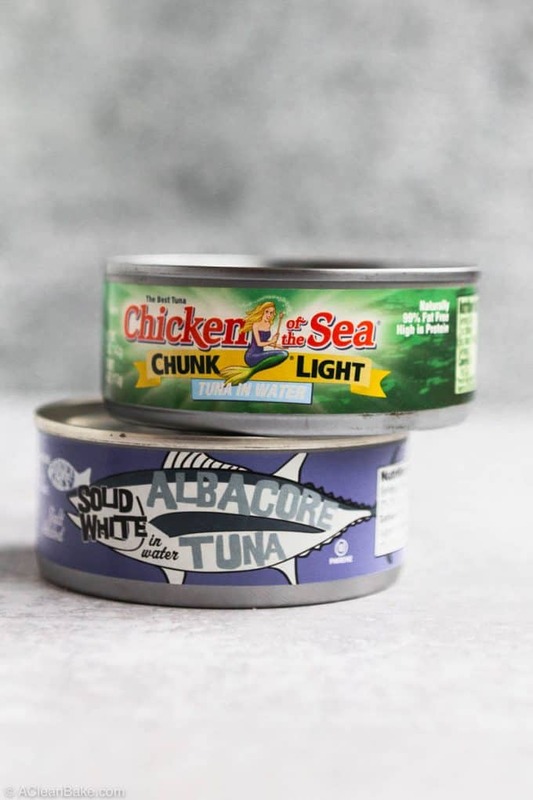 And if you can, opt for organic chicken, grass fed beef, and wild-caught fish – all of which you can usually find in the frozen section if you look carefully. I’m not talking about processed foods; obviously we know those are off limits. I’m talking about packaged whole foods, like pre-washed lettuce, pre-shredded carrots, or individually portioned trail mix packs. You’re paying a MASSIVE premium for what amounts to just a few extra minutes of your time. Instead, set aside an extra hour (you may not even need it all) when you get home from the grocery store to wash and chop veggies, mix up a bag of trail mix and portion it out into baggies, and other things like that. Then you can still reach for ready-made ingredients when it comes time to make your meals, but you won’t have spent any extra money on them. 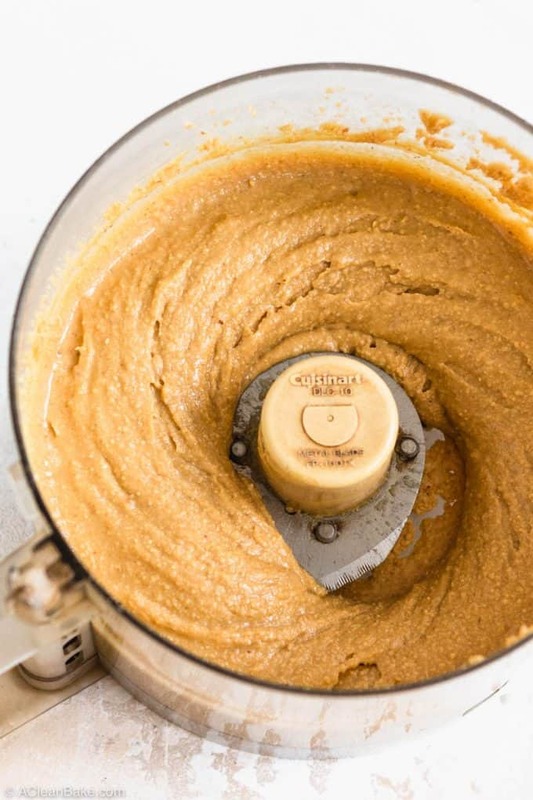 Make your own staples at home, like nut and seed butters. Better yet, make a double batch and stash it in the pantry so you don’t have to buy or make it for awhile. Cook in bulk. When I know I have a busy period coming up at work, I spend the week or two beforehand cooking double batches of whatever is for dinner. We eat one batch for dinner, and lunch the next day, and I freeze the second batch for a future meal. 9. Devote some time to meal planning and meal prep. If you have a meal plan for the week, you know exactly what to buy at the grocery store, won’t waste money on foods that may end up in the trash, and won’t be tempted to throw in the towel and order in – a surefire way to demolish a tight budget. Use the contents of your fridge, freezer, and pantry as a starting point – particularly if you’ve gotten in the habit of buying in bulk to save money. In that case, you’ll have a well-stocked pantry and can save a lot of money simply by making use of what you already have on hand. If planning and prepping entire days worth of meals is too much for you, focus on dinner. I tend to have the same thing almost every morning for breakfast (eggs or plain Greek yogurt, although check the macros on yogurt before you incorporate it into a ketogenic diet), so no need to plan those. If you’re eating keto, and incorporating intermittent fasting, you might not even need to worry about breakfasts. For lunch, all you need is leftovers from the previous night’s dinner, so no need for dedicated planning there either. Dinner is always the wild card, at least in my house, so I find that planning ahead, and even prepping some elements of your meals on Sunday gives me the best chance of sticking to the dinner plan, which ultimately means sticking to the budget! 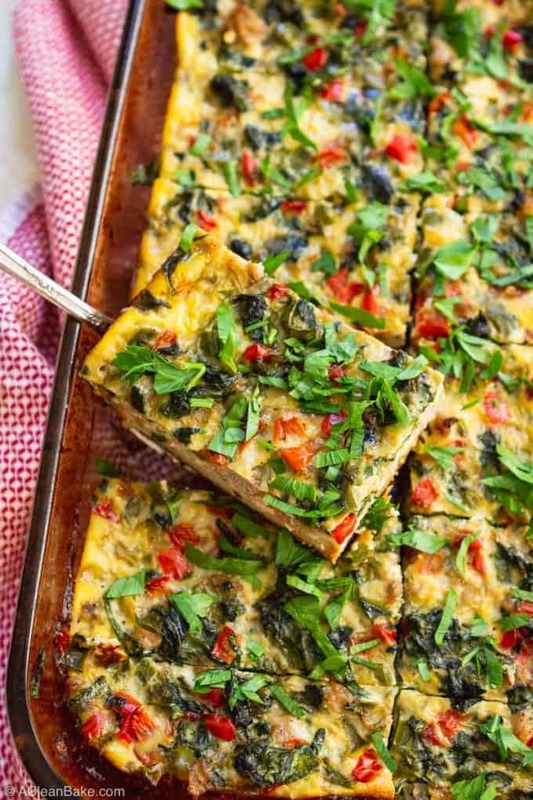 Make it easier on yourself by using Pinterest to save paleo or keto recipes that interest you, so that you’ll have some ideas to fall back on when it’s time to plan your week of meals. Pro tip: when it comes to meal planning, there’s no end to what your freezer can do for you. You can even prep a week’s worth of meals and freeze them ahead of time. This is ideal, for example, if you’re going out of town and don’t want to be eating out for an extra week when you get back. This is my favorite budget hack, because it minimizes food waste AND money waste. When you’re meal-prepping, think about sticking to recipes that require the same types of ingredients, so you can make sure that the groceries you buy aren’t going to waste. There is nothing worse than buying a whole jar of coconut milk, for example, only to use half of it and let the rest go to waste. Instead, pick a recipe you’re excited about: let’s say curry, which uses protein, vegetables, curry paste, and coconut milk. You might also need some coconut oil to pre-cook the protein, depending on the recipe. 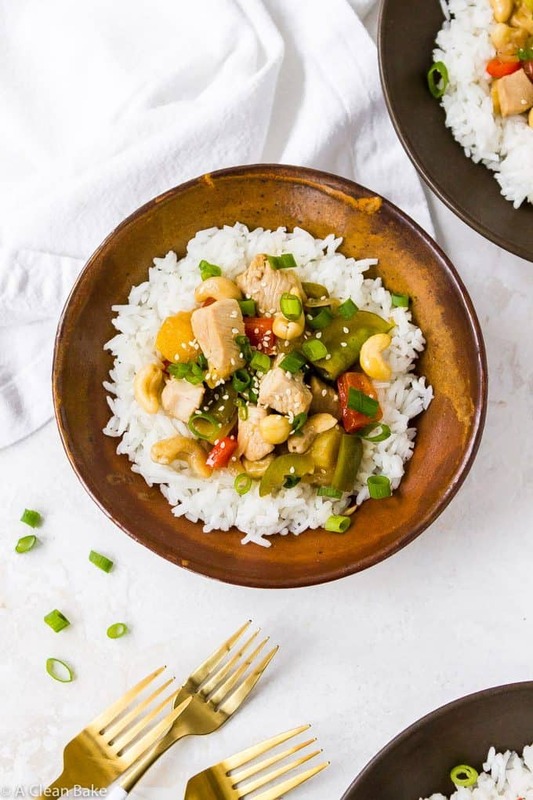 That’s your jumping off point for the week, so think of other recipes for the week that are either in the same cuisine/flavor family, or could use the same types of ingredients in a new way. Meal #1: Curry with chicken thigh meat, sweet potatoes (for paleo, skip for keto), bell peppers, zucchini (if in season), mushrooms, and broccoli, plus coconut milk and curry paste. Meal #2: Toss the leftover sweet potatoes, mushrooms, broccoli, and chicken with olive oil and a simple seasoning mix (such as salt, pepper, garlic, and cumin) to make a sheet pan dinner. Again, skip the sweet potatoes for a keto meal. Meal #3: Make a clean-out-the-fridge stir fry with whatever odds and ends are left in your veggie drawer, plus some chicken, beef, or shrimp. Keep iterating on the same ingredients for the remainder of the week, and take leftovers for lunch. The next week, pick a different theme or cuisine, like Mexican, and do the same thing. Similarly, make sure you’re using every part of the food you’re buying. Let’s say you have a whole chicken. Roast it for dinner one night, then use the leftover meat the next night for chicken salad (served over greens with a side of roasted vegetables). When the carcass is picked clean, throw the bones in the slow cooker and make them into stock or bone broth, which you can use as the base of a soup or stew later in the week, drink for breakfast, or freeze for use in a later meal. Oh, and it goes without saying (I think), that it’s important to stick to your shopping list and limit impulse purchases when you’re grocery shopping. Remember, the cost of eating healthy requires a little bit more upfront expense than the Standard American Diet, but there are plenty of ways to make it doable. And, consider it an investment in yourself and your future! Remember: pay now or pay with your health later. I love these tips, Nora! I definitely need to be better about meal planning and buying in bulk. One other thing I do, especially for baking supplies, is just buy a ton of my favorite things whenever they go on sale. Sometimes there’s a great sale on my favorite cocoa or almond flour and it’s a couple dollars cheaper for each bag, so I just buy all of them :). I love to have a big stash in case an unexpected baking urge strikes! I really do wish people would stop saying shopping at a farmers market is a way to trim the budget, up here in Canada a farmers market is luxury shopping. It d cost 3X as much to buy there vs. a regular grocery store. ?? I trim my budget by growing my own veggies. I also make my own sauces and can what I can or freeze it. I also drive 2 hours to a meat market were the meat is cheaper then a grocery store and a better quality.